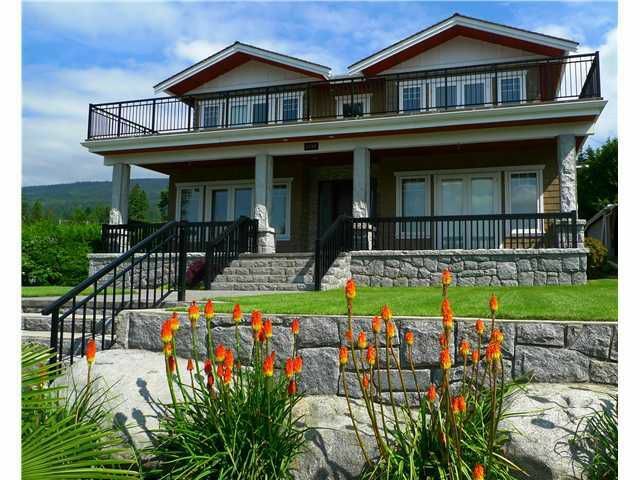 Beautiful custom built home with 5 bed 6 bath. Chef's kitchen with central island and granite countertop. French doors open to south facing patio. Spa-like ensuite in the master bedroom, as well as double walk-in closet. View from upstairs. In-ground sprinklers, built-in vacuum. Ridgeview Elementary and West Vancouver Secondary schools.